MPG-o-Matic Scion xD Review Summary: The uniquely styled Scion xD is a five door hatchback that competes with the Chevy Aveo, Honda Fit, Mazda3, Nissan Versa, and Toyota Yaris among others in the highly competitive subcompact market. Under the hood, the xD is equipped with an inline four cylinder engine, producing 128 horsepower and 125 foot pounds of torque. The official gas mileage estimates for the 2008 Scion xD are 26 city / 32 highway miles per gallon (MPG) with the four-speed automatic transmission. We easily trounced the Scion xD’s official highway gas mileage estimate, scoring 39.8 MPG on the highway in repeated Interstate tests in 80 to 90 degree weather. In combined testing, our nautical blue xD sailed through, delivered 32.3 MPG. The xD’s 1.8 liter Toyota VVT engine doesn’t just deliver the MPGs, it provides solid performance, as well … made all the more fun when shifting the automatic transmission manually. The xD’s multi-information display provides both average and “instantaneous consumption” (or real-time mile per gallon) displays. 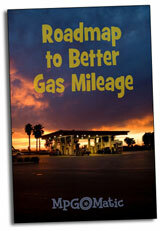 By using the real-time MPG display, you’ll quickly learn how to squeeze the most miles out of every gallon. With grid-like textures and touches of black metallic plastic, the interior invokes a rocket ship ride design aesthetic, placing the audio system front and center as mission control. The standard Pioneer audio system’s iPod integration includes both line-in and USB inputs. With easy access for back seat passengers, a generous hatch and fold flat back seats for plenty of storage space, the xD delivers the goods. The xD is pleasant to drive, both in and out of town. While the little Scion might be mistaken by some for a more futuristic version of the Mini Cooper, the tiny Brit plays a more sporting and more expensive ball game. After days of testing in a variety of situations from back roads, to the open road, to bumper-to-bumper traffic, we’re glad to give the Scion XD the thumbs up for fuel economy, driveability, a flexible loading bay, and one-of-a-kind styling. I’m loving my 2009 xD. I’m getting anywhere between 32-38 MPG in mixed to mostly highway driving with the 5-speed manual. I got an impressive 30.1 MPG pulling a 4×8 foot enclosed Uhaul trailer! For a tighter, sportier drive, consider the TRD shocks, struts, springs, and rear sway bar available at the dealership. The TRD short shifter kit drastically improves shifter feel.